'The Shotgun' Jamie Cope made maximum break after Ding Junhui on the previous day in PTC11. Congratulations! 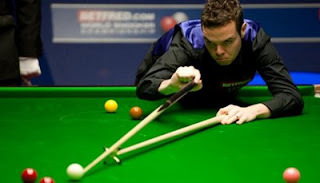 The Stoke cueman defeated Gareth Allen and Anthony McGill before facing Kurt Maflin in the last 32. In the match, Cope grabbed the opener with 147, his third in his career and went on to beat Maflin in decider to move into the last 16. 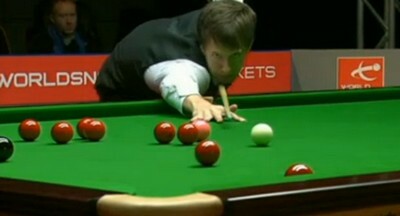 Cope now plays Judd Trump, who replaced Ronnie O'Sullivan to top the order of merit of PTCs. Cope's 147 is already the fourth maximum in 5 days time after two from Ding and one from Stevens. Under this circumstances, the official maximum approved by World Snooker will reach 100 very soon. I understand with more tournaments, numbers of maximum breaks will increase relatively. Should the 147 in PTC events treated as normal maximums in major tournaments? Ricky Walden keeps his hope of racing for the Top 16 place against Mark Davis alive - He beaten Ian Mcculloch 4-2 from 0-2 down in the last 32 and now plays Sam Craigie that beaten Stephen Lee in the first round, Justin Astley who beaten John Higgins in the previous round. World Number One Mark Selby whitewashed Mark Williams in Round 3 to set up a clash against Graeme Dott in the last 16. China's Yu Delu and Tom Ford also booked their place in last 16 on Sunday.